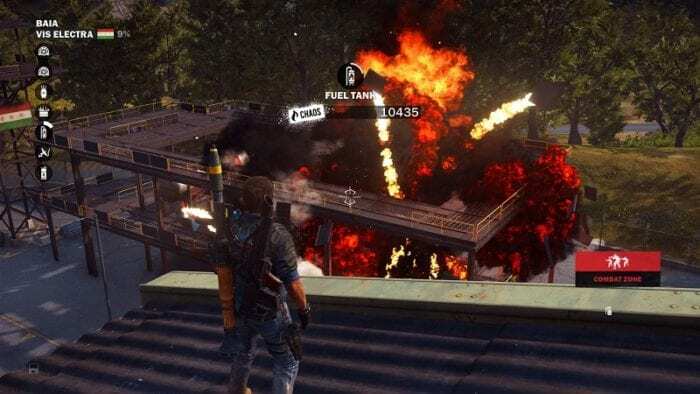 Just Cause 3 has a lot of mayhem you can get into. One of the main forms involves liberating locations such as towns, bases, and outposts where the controlling military has planted its flag. Towns are simple enough to deal with since Di Ravello’s soldiers never really put too many defensive measures in place, but bases and outposts can prove to be a nightmare to the un-initiated. While they may be lax elsewhere, they certainly don’t want you taking out their strategic operations, and they will fight you tooth and nail to prevent it from happening. Luckily there are ways to make Rico’s life, and by extension yours, much easier. A few tips that will keep the bases crumbling and your Chaos score rising.